The first-ever full-length, theatrical LEGO movie will open nationwide on Feb. 28, 2014, Dan Fellman, president of Domestic Distribution for Warner Bros. Pictures, announced. “The Lego Movie” will be produced by Dan Lin (“Sherlock Holmes,” “Sherlock Holmes: A Game of Shadows”) and Roy Lee (“The Departed,” “How to Train Your Dragon”). 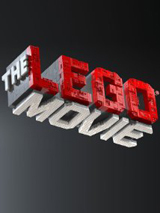 Tags: "The Lego Movie", Christopher Miller, Dan Lin, Lego, Phil Lord, Warner Bros.